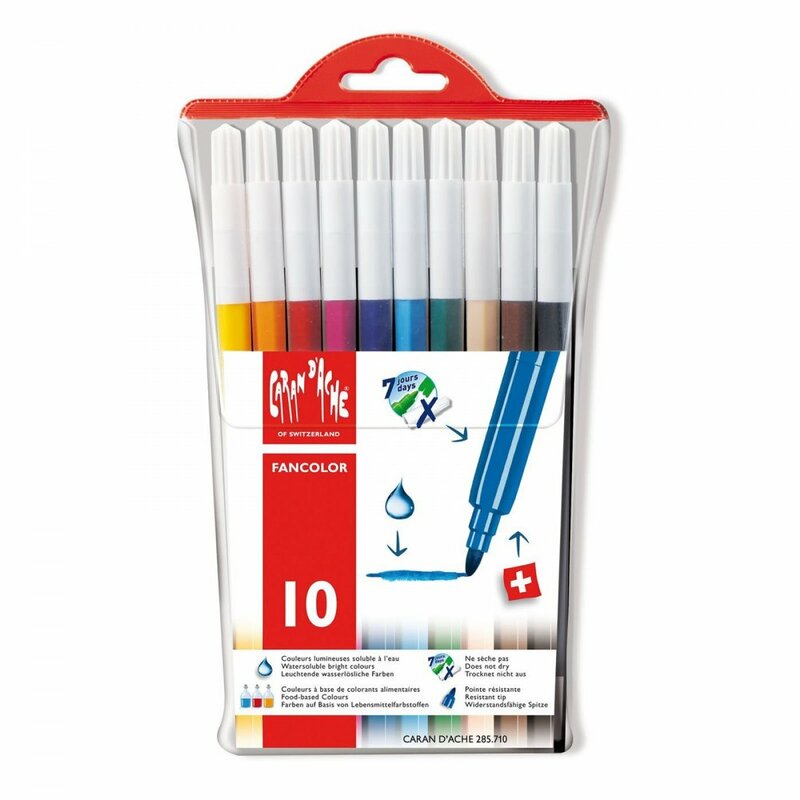 The Caran D'Ache Fancolor Fibre Tipped Pens come in an assortment of water-soluble colours. The colours are food colouring based, and will not dry out for up to seven days with the tops left off. All the pen lids are safety ventilated to help prevent choking if swallowed, and the ink is washable.